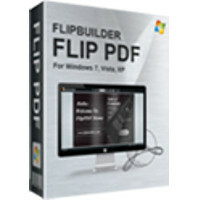 Converts Acrobat PDF files to page-flipping eBooks. Flip PDF provides a quick and easy way to batch convert ordinary PDF files into stunning booklets with amazing page flip animations and sound! Imagine being able to create digital magazines and catalogs that behave like actual paper books without any programming work! Once you've created your page-flipping masterpiece in Flip PDF, you can publish it to the web, send via email, and even distribute it on Mobile, Mac or CD-ROM, all without paying royalties!